If you are one of those people who believe that a puppet show is only meant to entertain children, you have probably not yet discovered the Chicago International Puppet Theater Festival, presented bi-annually (and now in its third edition) with offerings that heartily live up to a promise to “astonish and delight.” At over a dozen venues across Chicago through January 27th, no less than 23 productions celebrate the unique performance art under the direction of Festival Founder and Artistic Director Blair Thomas. 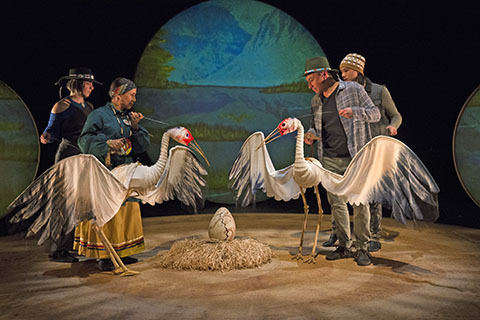 The 2019 Festival opened Thursday with Heather Henson's IBEX Puppetry production “Ajijaak on Turtle Island,” the family-friendly First Nations spectacle presented at the Studebaker Theatre in the Fine Arts Building in partnership with the American Indian Center. The play, written by Ty Defoe, who co-directed with Henson, combines Native American themes from the Ojibwa, Lakota and Cherokee with music, puppetry, dance and projections in an inspiring story about respect for our natural resources and the beauty of the world around us. 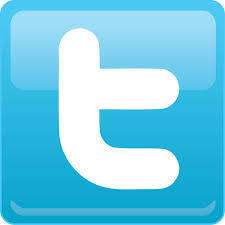 The story centers on the adventures of a young crane named Ajijaak, who is separated from her family after a fire. 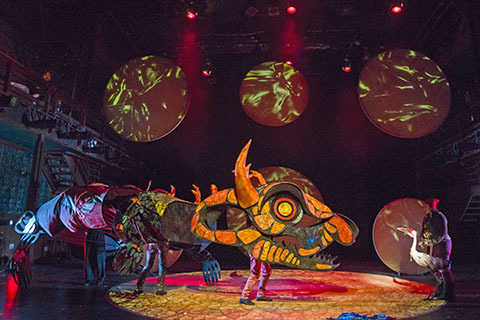 Alone and relying on the animals around her for direction and guidance, Ajijaak learns about the circle of life, the Earth's abundant yet fragile resources and the consequences of our decisions through an array of whimsical puppets and imagery. It begins on Turtle Island, at a time when animals could talk to each other. Along her journey, a deer provides comfort, bison share friendship, and a wily coyote leads Ajijaak to a busy, sprawling urban center. She meets a rapping turtle and learns that in order to preserve resources we must only take what we can use -- particularly crucial advice for the colony of blue crabs when a hungry young crane is on the shoreline. 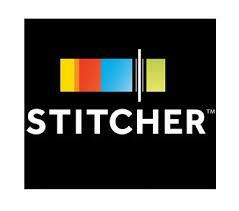 The talented cast of puppeteers, vocalists and dancers includes Tony Enos, Joan Henry, Wen Jeng, Adelman Polak, Sheldon Raymore and Henu Josephine Tarrant. John Scott-Richardson and Kevin Tarrant provide music (composed by Dawn Avery and Larry Mitchell, Tarrant and Defoe.) Jake Montanaro, Jennifer Sanchez, Euni Shim and Dormeshia Ward are the dancers. The intricate puppets, featuring a blend of hybrid marionette-and-rod and spectacle, parade-style designs, are creations of Jim Henson's Creature Shop from original storyboards and drawings by Heather Henson, daughter of Jim Henson, famed creator of ‘The Muppets’ and ‘Fraggle Rock,’ and over two dozen creatives and fabricators. PicksInSix Theater Review: TimeLine Theatre Company "Cardboard Piano"